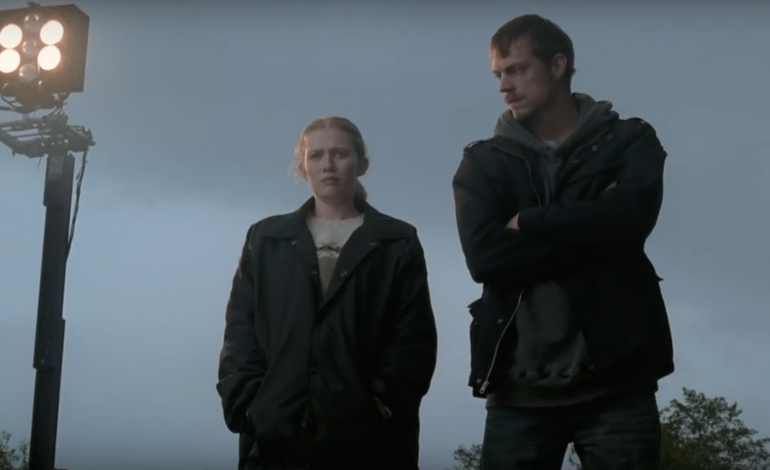 In 2011, actors Joel Kinnaman and Mireille Enos graced our televisions with their performances as the Seattle homicide detectives Sarah Linden and Stephen Holder on AMC’s series The Killing. The two were an impressive pair, working together in an understated but seriously impactful style. While The Killing sadly ended in 2014, fans of the duo can soon catch a reunion between the two actors on Amazon. According to The Hollywood Reporter, both Joel Kinnaman and Mireille Enos have been cast in Amazon’s upcoming television series Hanna. Hanna was originally a 2011 spy thriller from director Joe Wright, starring Saoirse Ronan as a young girl trained in combat by her father in order to escape capture from a CIA agent. Amazon has now taken up a television adaptation of the film, with Kinnaman and Enos playing the two leads. This time, instead of playing partners working together, the two actors will play adversaries pit against each other. Kinnaman will play Erik, Hanna’s father (originally played by Eric Bana in the 2011 film). Meanwhile, Enos has been cast as Marissa, a CIA agent intent on hunting down Erik and his daughter and exposing them. Kinnaman and Enos are joined by Esme Creed-Miles, who will star in her first leading role as Hanna herself. David Farr, screenwriter on the original film, will also write the television series. Director Sarah Adina Smith is set to direct the pilot episode. Amazon hasn’t confirmed a premiere date for Hanna, but with its growing list of talent, the series is surely one to look out for in the near future.